Owning a car has ceased from being a luxurious need and is slowly becoming a primary need. Everybody owns a car nowadays. When you have a baby, it will be hard to fit the baby you’re your traveling schedule without the best infant car seat. Your baby too deserves to enjoy the ride. She should enjoy the ride comfortably and safely. Regular car seats are too big for newborns and toddlers. They will need their special seats which will have to be securely placed on top of the normal seats. This means that your baby’s seat should have a latching system for it to fit comfortably as you steer through corners and roundabouts. The best infant car seat should come with features that are detailed with regards to the safety of your child. 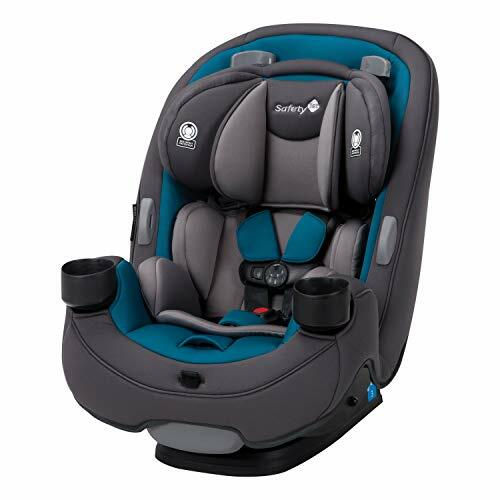 Lucky for you, we have added some important information that will help you choose the best infant car seat for your bundle of joy. This is one of the popular and among the best-selling infant cars on the online market. This performance is attributed to its high and excellent score card in child safety. It is rigorously tested for side impact, structural integrity. The tests were done at levels close to twice that of a standard federal crash. It meets all the federal safety standards, and it is designed for integrity. Apart from safety, this convertible infant car seat is compact and light weight. It is suitable for parents who switch between cars. 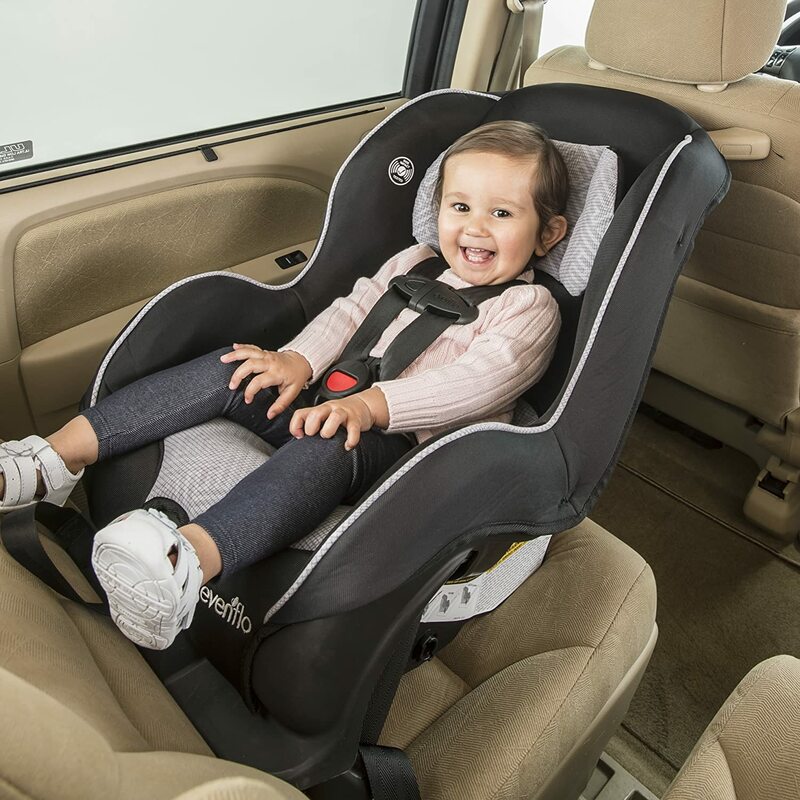 To use the seat itself, it has upfront5-point harness adjustment from the front of the car seat which makes it easier for you to get your child in and out of the car. It also has a seat recline which is suitable for the rear facing use. There are four harness positions which will accommodate your growing child to ensure that your baby has maximum comfort. This seat has a 2 crotch buckle position for extended use and a machine washable pad. This product has a head pillow to support the head and for additional comfort. You can be sure that this infant car seat will perfectly hold your baby. It holds a 5-30 lbs rear facing infant 19-37 inches and a 22-40 lbs forward-facing toddler 28-40 inches. Safe for infants. It is tested for side impacts and meets federal safety standards. It has multiple shoulder harnesses to hold your baby in position. Upfront harness adjustment and crotch buckle positions allow easy and convenient adjusting. Integrated pads give additional comfort and safety. Fits rear facing infants of 5-30 lbs and forward facing children of 22-40 lbs. It has four harness positions which will accommodate your growing child. The edge plastics are cheap. Rear facing baby car seat from 4 to 40 pounds. 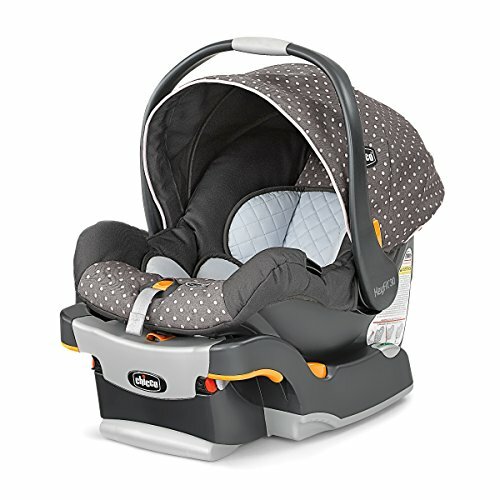 Forward facing baby car seat from 20 to 65 pounds. Backless belt-positioning mode from 40 to 120 pounds. Meets federal standards for safety. 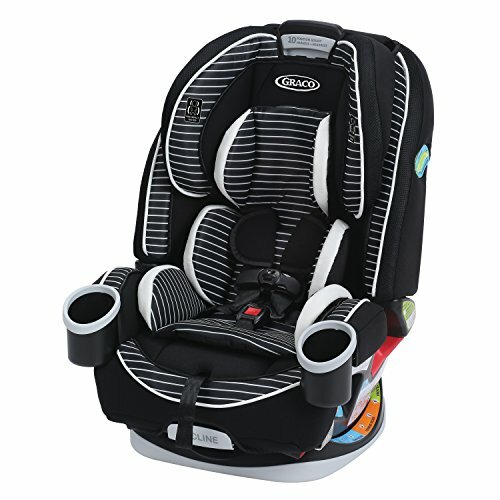 Grasco 4ever all-in-one convertible car seat is fantastic in keeping your baby comfortable. Its elegant design has a safety harness that is simply adjusted to give a comfortable height for your baby. It has a 10-position head rest that gives good comfort to your growing baby. It is a one hand seat. It can be comfortably operated using a single hand and at the same time be lifted with one hand. The car seat perfectly fits infants; it has plush inserts to keep your child comfortable as you travel. It has a 6-point recline which easily adjusts to fit. When it comes to safety, this infant car seat leads. It has been tested for side impact, it is engineered and crash tested to meet or exceed the US standard FMVSS 213. It has also been tested for extreme car interior temperatures. It also has EPS energy absorbing foam to manage the energy impact effectively. This will increase the chances of your baby’s survival in case you are involved in an accident. To ensure that it is safely adjusted to the position, this seat has an audible click which will secure the installation. The rear facing baby car seat can hold babies of 4-40 pounds. While the forward toddler seat can hold babies of 20-65 pounds. The only drawback of using this infant car seat is the fact that it is very hard to install because it is very bulky. It has a 10-point head rest for a good comfort. It is one hand operation seat. It comes with plush inserts and 2 cup holders for snacks and refreshments. 6-point recline system for adjustment into position. Rigorously tested for side impact and extreme car temperatures. Has an audible click for secure installation. Comes with in right latch systems for installing it into different cars. It is heavy and bulky making installation hard. Lined with EPS energy-absorbing foam. This is a simple to install best infant car seat. It gives an accurate and secure fit. The inside of the Chicco Keyfit seat is lined with EPS energy-absorbing foam for impact protection. It is suitable for infants of up to 30 pounds. It has infant insert for smaller babies from 4 to 11 pounds. It also comes with a canopy and has a 5-point harness with a one-pull fastener. It has an ergonomic design with a carrying handle with a comfortable grip. This infant car seat will be safe for your baby as it conforms to the federal standard safety rules. It can be accommodated by vehicles without a latch using an in-built belt lock-off system. The base of this seat which is separable will protect your baby’s seat. What’s more, operating this best infant car seat is very easy as it can be operated using one hand. The only issue to worry about when buying this car seat is that it is very bulky and heavy. Its canopy does not extend very well to protect your baby from direct sunlight. It is an easy to install infant car seat. It has bubble level indicators on either side which indicate an accurate seat angle. Has one-pull latch fastener with force multiplying technology. The 5-point harness is a one hand-pull. Has an infant insert which holds babies from 4 to 11 pounds. This seat is bulky and heavy. The canopy does not also extend well to give a full protection from light. It is one of the most comfortable infant Car seats that will grow with your baby. It has a rear-facing capacity of 5-40 pounds for newborns and growing toddlers and a forward-facing capacity of up to 65 pounds. When your baby is ready to use a safety belt, you will use the Grow and GO 3-in-1 car seat a belt-positioning booster. This best infant car seat features removable and machine washable seat pads, which are easy to clean quickly and dry faster if your baby messes them up. They have built in harness holders which will keep the seat in an open position. This will result in creating a 7 inches room which will enable you to remove the baby in and out of the car easily. What’s more, this infant car seat has an extra leg room and a side impact protector to make sure that your baby is safe from both directions. The only drawback associated with this infant car seat is its latch system which is complicated to build. Otherwise, every other thing about this best infant car seat is alright. It has side impact protector to protect your baby from side impacts. The harness holders keep the harness in an open position so that it is easy to get your child in and out of the seat. The design provides an extra leg room for you in the front seat. It is machine washable and quickly dries. The latch system is complicated to build. 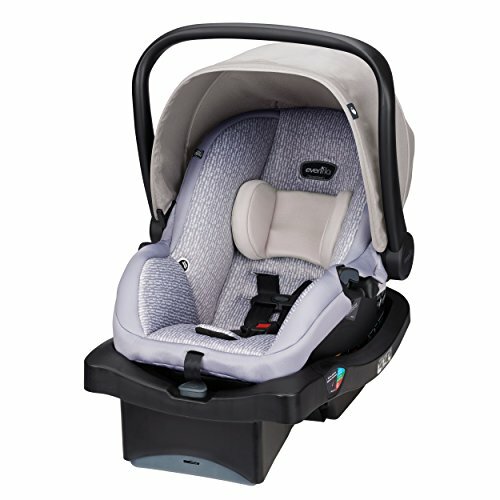 Are you looking for an infant car seat that is specifically designed for tiny newborns? This car seat aims to fit children from 4 pounds to 33 pounds. It is light in weight allowing you to keep your child close without your arm getting tired. If you are a parent on the go, Evenflo Embrace has a separate stay-in-car base, which will be quick to fasten the seat onto it. For safety, it has been certified by federal transportation organs for meeting structural integrity and federal crash test standards. It has a handle that can go through 180o positions. It also comes with an upfront adjustment for ensuring that the seat is carefully installed. It has 3 shoulder harness positions that will make sure that your baby fits squarely and in a good position. It also comes with a uniquely removable head pillow which will provide additional support making your baby to be comfortable and happy as you enjoy the ride together. To shield your baby from the front hard sunlight rays, it has an adjustable canopy. And for a general balance and comfort, it has a base recline. Finally, it comes with a separable base which can be left in the car for easy carrying of the car seat. The comfort of your child while traveling should be as good as yours. The only thing that will bring such similarities is having the best infant car seat. Finding the best infant car seat is becoming an uphill task nowadays. This can be attributed to the fact that there are very many companies producing infant car seats and selling them to the potential clients. The chances of buying counterfeit infant car seats are very high. You need to be armed with adequate information to avoid buying the many low-quality products cheaply available on the market. This article has outlined some of the information that you need to have to buy the best intact car seats. We have also reviewed some of the best products you can ever lay your hands on. We believe that all the five products reviewed above will serve your baby well. However, keenly consider the Evenflo Tribute LX Convertible Car seat because it fully has the ideal characteristics of a perfect infant car seat. It excels in its performance that is why it is loved by many. It is good for parents who switch between cars; it is light weight and compact, the safety harness is straight forward to make you forget the confusion and the frustrations. This infant cars seat will see your baby grow from being a newborn to toddler while enjoying your daily car trips. It also has other great features that you might just discover while using it. We love to get some feedback from you regarding our review article. Be kind enough and share this article with other parents who might need this information. Many parents complain of car seats with annoying belt mechanisms, clumsy chest safety harness, and frustrating latches. Disturbing car seats will consume your time while trying to figure out how things work. It might be simple these days to find a solution on the web, but that is time-consuming as well and will add more complications. The only thing that will keep you out of that direction is minding the need of efficiency and effectiveness of the infant car seat you are going to buy your little one. Baby weight is a significant factor you will have to consider when buying your baby an infant car seat. 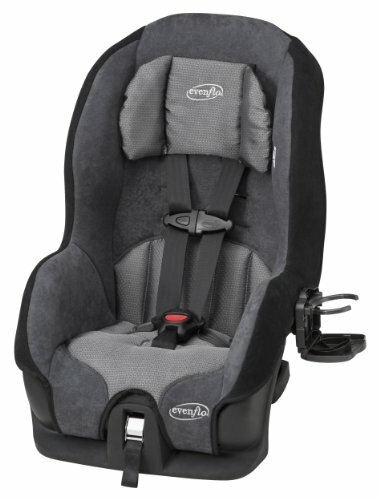 Infant car seats come with different weight limits both for the rear and forward facing seats. You are the one who knows your baby better so you should, therefore, look for the one that will fit the weight of your baby. Most infant car seats have the following weight limits for rear facing seats, a minimum of 4 pounds and a maximum of 35 pounds. For forwarding facing seats, they have a minimum of 10 pounds and a maximum of 65 pounds. Car models vary in sizes. Those owning a Honda civic will have different seat sizes compared to those of a Toyota Corolla. Most mainstream vehicles will accommodate bulkier infant car seats. You should, therefore, take an initiative of measuring your car’s seat to find the exact dimensions and relate to the seat are going to buy. Most infant seats nowadays come with a lot of features that will make the seat cumbersome and difficult to even place it in your car. These features, however, play a fundamental role in making sure that your baby seats comfortably and safely on the best infant car seat. Small impacts may turn fatal for your baby. Making sure that your baby is on seat belts will not only guarantee your baby’s safety but will improve her comfort as well. You should carefully strip down the car seat you are going to buy your baby to find if it has focused on providing safety to your baby. Some of the features to look for are side impact protections, safety harness, padding to absorb small impacts and shocks, a firm base and a fitting system or a latching system that clicks to ensure the seat is carefully placed and above all, it should provide buckles for safety. It should also be certified and approved for use. This means it should meet all the federal standards safety rules. It should be tested for impact crash. Remember your baby deserves to enjoy the ride as you do. You should, therefore, look for a car seat that comes with accessories like infant head pillow, toy bars, cup holders for drinks and snacks and may have stroller attachments as well. Having acquired the information above, here are our 5 best infant car seats with detailed overviews, features pros and cons.